Business analysis on-demand, just plug-in your data. Out of the box BI empowers your team to discover trends and deal with issues immediately and easily. Sales and Margins by Customer, Item, Salesperson, Customer type, Brand, Supplier, Class, Location, Tracking code or compare to prior periods or years. Track Inventory against recent sales history to manage reorders. Pick from the default reports or easily change any of these key dimensions. Simply save your new report to reuse, share with other users or schedule to auto email daily, weekly or monthly. Budget Jobs by month or the whole job and compare actuals to budget. Report job P&L by Job Headers, Job Manager and Job Customer. Manage Job WIP and Estimates to Complete with outstanding purchase orders and sales able to be included in Jobs reports. Know the state of all active jobs regardless of their stage across financial years. Running Divisions, Cost Centres or multiple companies? We have a number of Report options to help. P&L by Categories, combine multiple company files or Setup up your own Custom lists against General Ledger accounts to create Divisions and generate comprehensive divisional P&L reports, with Actuals v Budget that you can also drill right down to transaction level. Pretty diagrams can be pretty pointless if they stop at the top. Of course you need an overview to easily see trends but you also need to get down into the data to discover the causes and this should be effortless. 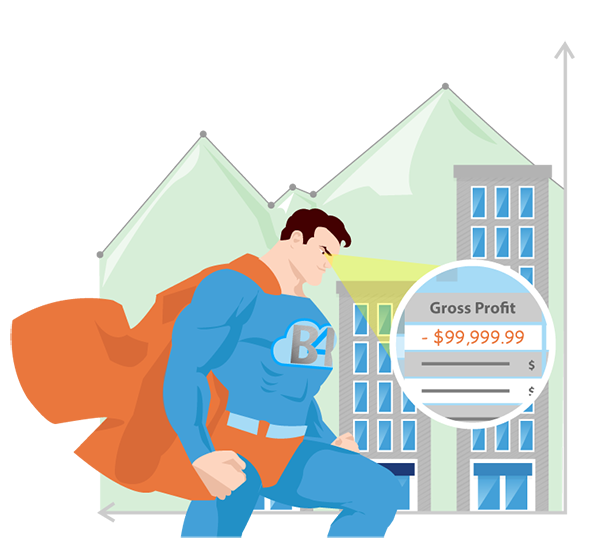 If sales are down this month you should not have to dive back into the accounting system and analyse invoices to discover the who and why. With Bi4Cloud we access the transactions to allow drilling down to detail and pivot and switch dimensions to reveal why and deal with the issue. You need the detail to do this. When detail matters you need BI4Cloud. Our Customers are amazed at the insights they get about their business as soon as they sign up for a Free Trial. They save hours and days each month on preparing vital business reports leaving them more time to actually use the information. Many say that they don’t know how they did without BI4Cloud. These businesses cover the whole spectrum of SME enterprises including wholesale, distribution, wineries, heath services, IT, mining services, construction, recruiting, childcare and disability services. Many of these organisations are just like yours and need timely information to make the best business decisions. Try our BI4Cloud service on your data. Simply click Free Trial, create a login and provide some details. Next connect your data source and after we sync your data you’re good to go. We give you a free 14 days of reporting bliss before you have to decide. It’s easy to get into the habit of having your information delivered automatically by email or opening your tablet and logging in to see what’s going on. Seamless reporting across QuickBooks Online, Xero and Account Edge Pro. 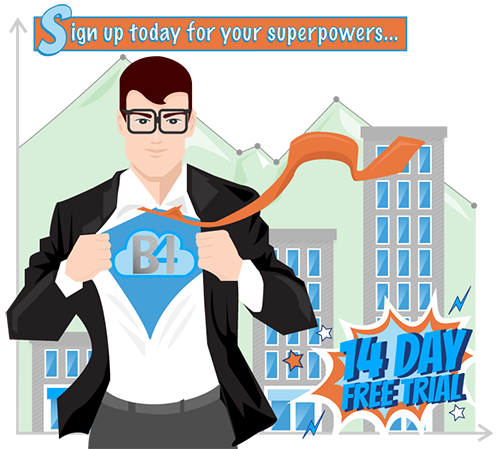 Using BI4Cloud you get the benefit of all our BI work for less than your daily coffee. What do you have to lose? Are you a Not for Profit using MYOB? – Learn how we help with NDIS here.